Commercial Gas Powered Hedge Clippers. 24 cc, 1.3 hp - 2 cycle gas engine. 26" double-sided, dual reciprocating blades. 5 Position rear handle for operator comfort and control. 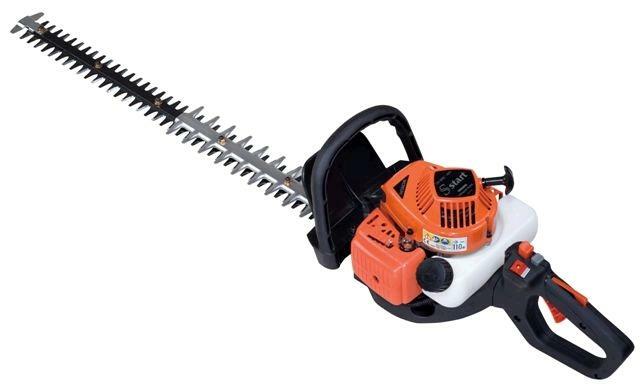 * Please call us with any questions about our hedge trimmer gas 26 inch rentals in Oak Grove MO, Blue Springs MO, Independence MO, Lexington MO, Odessa MO, Independence MO and Western Missouri.